Naomi Hunt passed away peacefully July 2, 2018 at TimberRidge in McKinleyville with her daughter at her side. Born October 3, 1927 to Henry and Belle Schmitt in Arcata. 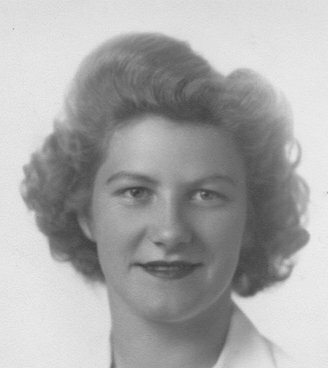 She attended Arcata High School where she met Harold Hunt and later married when he returned from Japan after WWII. Her children are Pamela (Tom) Cone and Craig (Sandra) Hunt. While raising her children she was involved with their activities such as Camp Fire Leader, 4-H Leader of the Arcata Bottom group and Junior Livestock Committee Humboldt Co. Fair (14 yrs). After the kids were raised she went on to volunteer for the Humboldt Co. Grand Jury (twice), Mad River Hospital Volunteer (9 years) and State Committee for Hospital Volunteers (3 years). Then in 1982 she started Sequoia Lifeline Program and was the director for 19 years. During that time she raised thousands of dollars in donations to purchase over 1000 lifeline units for the elderly allowing for their independence to still live at home. Units were installed from Garberville to Crescent City and east to Hoopa area. In 1988 she was awarded the Soroptimist “Women of Distinction” award. 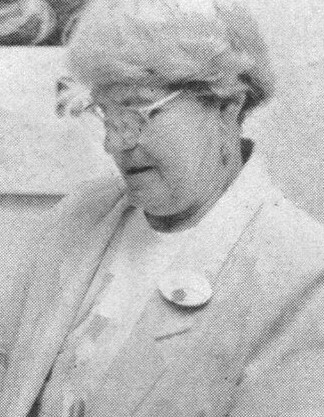 She was a member of the advisory committee for the Area One Agency on Aging and in 1998 was awarded the “Senior Friend” by the agency. Smitty, as she was known by childhood friends, loved to bottle hunt under old buildings in Arcata and Eureka. She was well known for her old bottle collection. In 1965 the cabin was built at Trinity Village and she spent weekends building rock walls and enjoying the wonderful weather. Her trusted cats Caboose, Molly and various dogs were usually in tow through the years. Eventually mom and dad moved to the their permanent home in Trinity Village where she continued to enjoy the relaxing lifestyle with her Village friends. Naomi is survived by her children Pamela (Tom) Cone of Eureka, Craig (Sandra) Hunt of Snowflake, AZ and Fortuna, CA. Step-grandchildren: JoAnn (James) Lockard, Lara Cone, Katie Edgmon and Doug Edgmon. great grandkids: Skyler and Drew Lockard, Arjana ,Che and Jayden Edgmon. Preceded in death by her husband Harold C. Hunt, parents, Henry and Belle Schmitt, sister and husband Eleanor LeBoeuf and Bernie LeBoeuf. A celebration of life will be held at Timber Ridge in Mckinleyville on Wednesday, July 25th from 1-4pm. The family would like to thank the ALL the staff of Timber Ridge in McKinleyville who took wonderful care of both mom and dad previously. They were loved by all. Also to the great staff of Hospice of Humboldt who not only care for the patient but also the family members and who were so caring for both mom and dad during their final months.